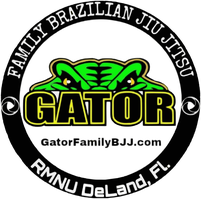 Holiday Class Schedule - Gator Family Brazilian Jiu-Jitsu, DeLand Fl. Happy Holidays from our family to yours. We have a modified schedule in the upcoming weeks. Our friends at All-Star Fitness have welcomed us for more training opportunities during the Holidays. Please visit their facebook page All-Star Fitness Deland for more info.